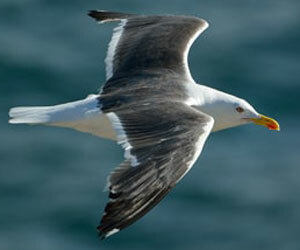 A story about a bird–and a seagull no less–go figure. However, this book about a Seagull by Richard Bach is on my “Top 10” favorites reading list. The book is about serving others with kindness and love! I don’t know how many times I have read it, but it has to be more than a dozen times. I first read it in my junior year at Spanish Fork High School. Comment: There are numerous scientific studies, which I won’t cite here, that show stress reduces one’s lifespan and quality of life. Boredom, fear, and anger are stress producers as I have experienced first-hand in my life. Comment: Fear inhibits us from achieving so many things that we would like to experience and accomplish in life. In that light, fear is a bad thing. However, fear can be an excellent stimulus. Like everything else in life, we need to confront, understand, manage and use it with discretion. Comment: Having been on this journey myself for a while now, that of learning to practice love and kindness consistently, I have experienced that it is the most difficult, the most powerful, and the most fun of all the journeys I’ve traveled! Comment: It is this idea and challenge, to practice love and kindness, which makes my life worthwhile and motivates me to get up each day and live each moment, in the present, with gratitude in my heart. To me, real love is having a sincere desire for others to possess peace, health, and happiness, even more than one might have for himself–without regard to one’s needs or wants. Also, it includes the willingness to serve others, with sacrifice, in that capacity and to that end irrespective of how “others” may treat you. Pure love is a difficult concept to initiate and practice consistently; but, one that is necessary to achieve a “fullness” of one’s potential. Comment: I find myself pondering this same sentiment almost daily… if I had only known this when I was younger! Comment: This is an excellent example of true love coupled with forgiveness. Comment: Whether it’s small things or big things, if they impede us from reaching our goals, we have to get rid of them; including certain people. However, this practice is easier said than done. To put certain things or people aside that stand in the way of us reaching our goals takes a lot of self-discipline and resolve; it is made easier with prayer and help from above. Comment: I observe and experience this sentiment frequently with the excessive political correctness run-a-muck in our present-day society… and is almost always practiced by, excuse the phrase, “simple-minded asses,” in my humble opinion. Comment: “It’s fun when you get the knack of it”? I hope I can one day get the knack of it! I understand this concept and have seen my father exercise it. However, it is tough for me to practice consistently. Comment: I have this feeling as I face a new class of 5th graders at the beginning of each school year. This feeling Fletcher felt, with the new students, is one I can relate to. Images – Post image: “Goeland brun / Lesser Black-backed Gull” by Jean-Jacques Boujot is licensed under CC BY-SA 2.0. Web 16 February 2014. Quotes – Bach, R. (1973). Jonathan Livingston Seagull. New York City, New York: The Macmillan Company.